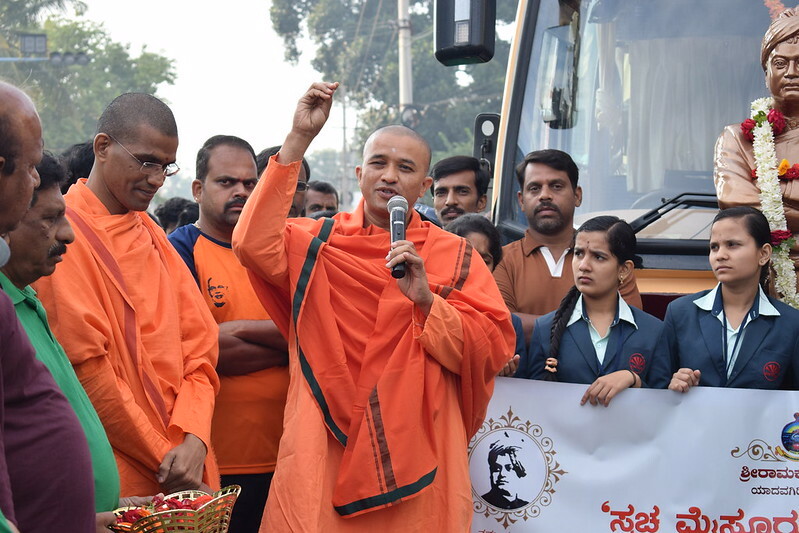 Mysuru, 12th November: The 37th week of the “Swachha Mysuru Swastha Jeevana” campaign to enhance civic awareness about cleanliness and environmental protection was held in Sunnadakeri on 12th November, 2017 covering 1 to 10th cross of Sunnada keri, 1 to 5th cross of Kumbarageri, Rehamania street, Deewans Road, D Subbaiah Road and Bestharageri. 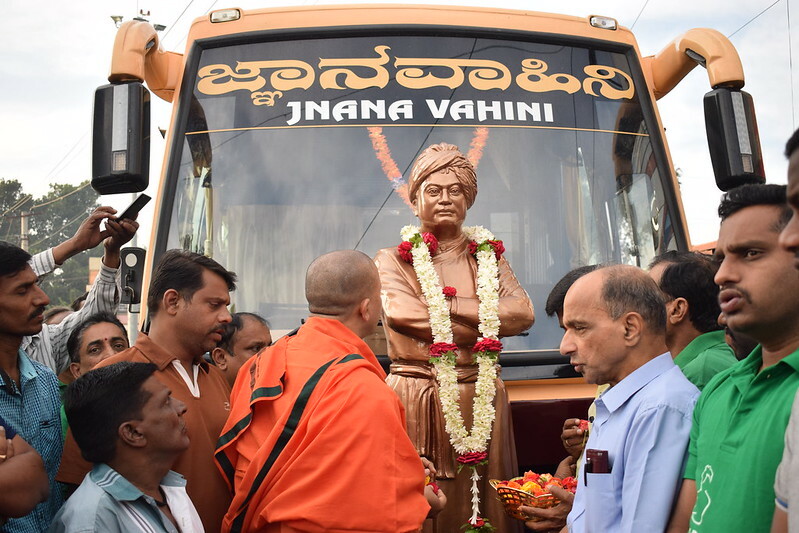 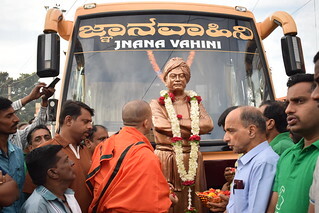 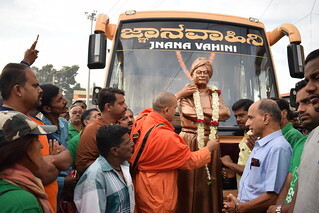 Swami Tadyuktanandaji Maharaj, Correpondent of Ramakrishna Vidyarthi Mandiram, Ramakrishna Math, Bengaluru, Sri D Madegowda, former MLC, Sri M J Ravikumar, Mayor, Mysuru City Corporation, Sri Shivakumar, local corporator, and Prof. K S Nagapathi participated in the inauguration of the campaign. 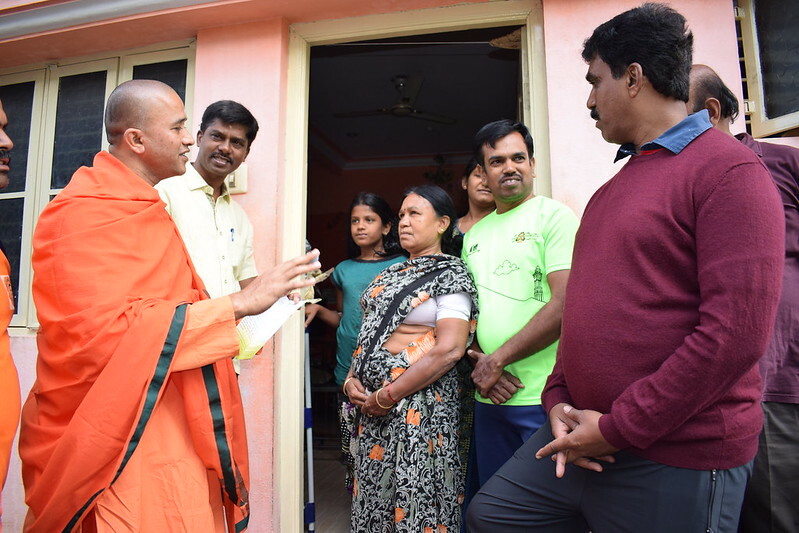 Volunteers visited residents and requested them to 1. Desist from throwing waste in public places, 2. 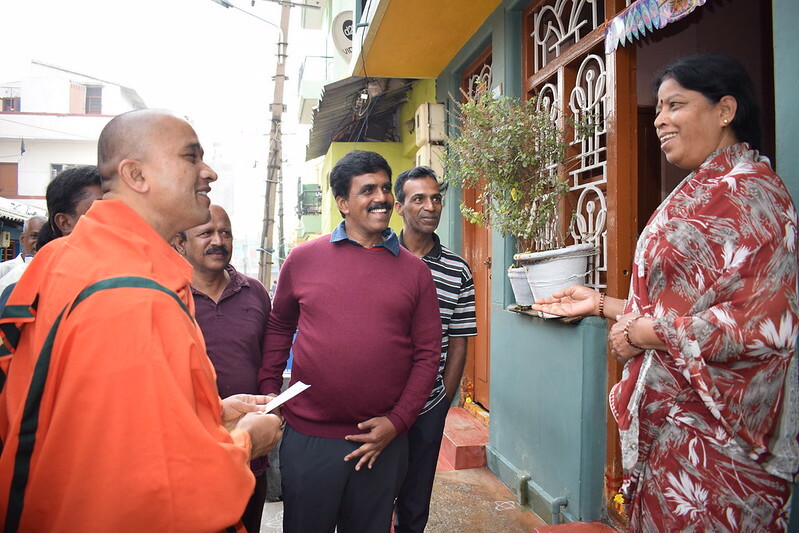 Avoid using plastic bags, and 3.Take care of hygiene in surrounding public places. 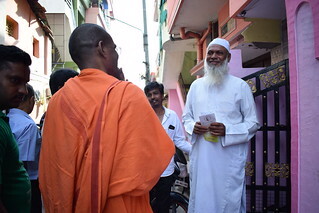 Ashrama volunteers, students from TTL college, Vijaya Chethana College and local residents, in all 280 people participated in the cleaning and awareness campaign. 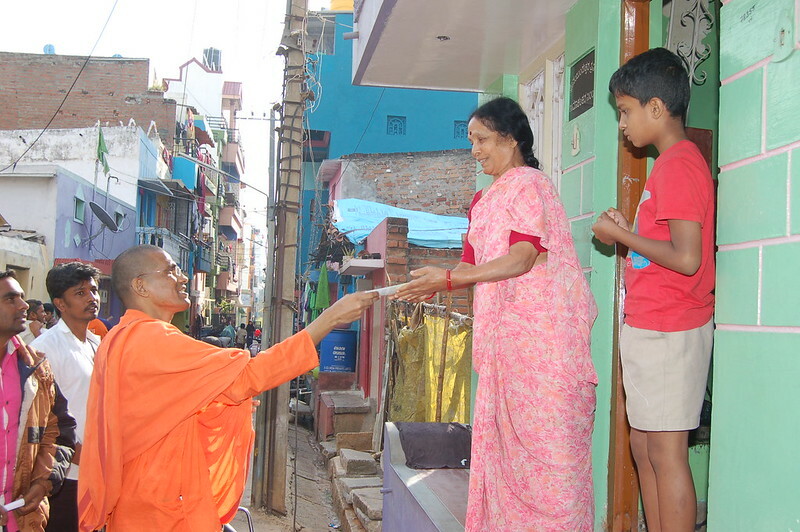 A brochure on “Swachha Mysuru Swastha Jeevana” was distributed to households in the locality.